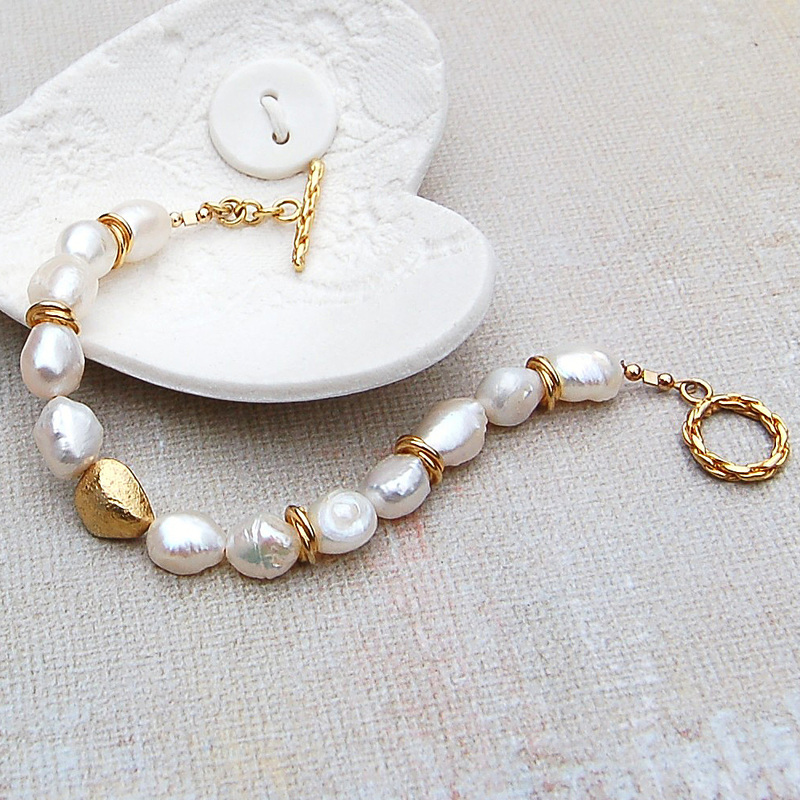 A contemporary take on the classic pearl bracelet with lush white baroque pearls. 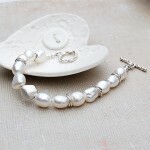 A unique design which looks good for any occasion. 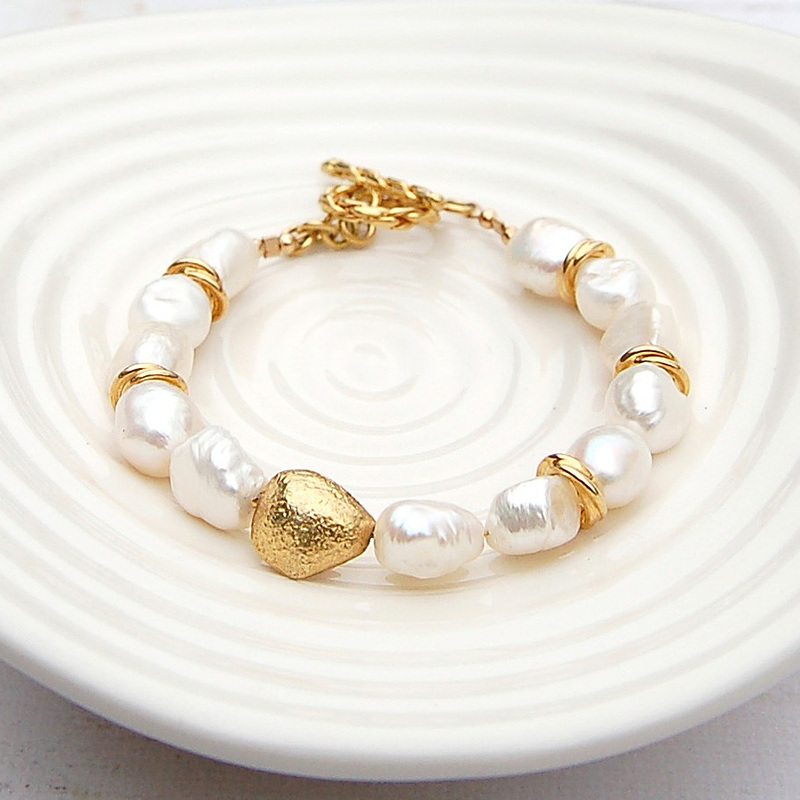 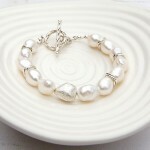 This stunning bracelet works with anything and looks as good with beach wear as it does bridal! 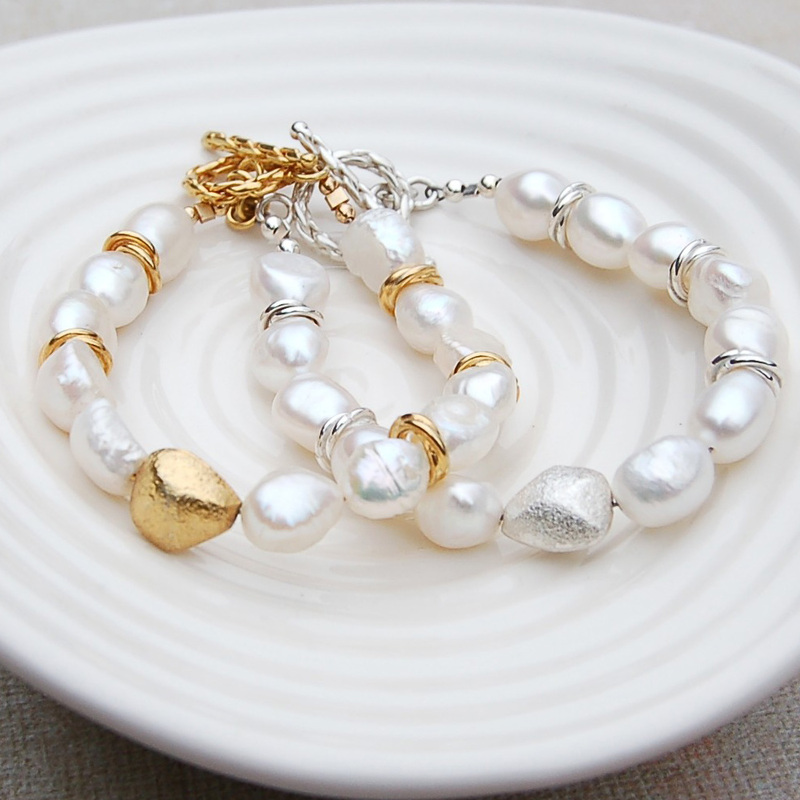 The white baroque pearls are highlighted by a beautifully textured nugget bead and twisted spacers, in either sterling silver or gold vermeil. 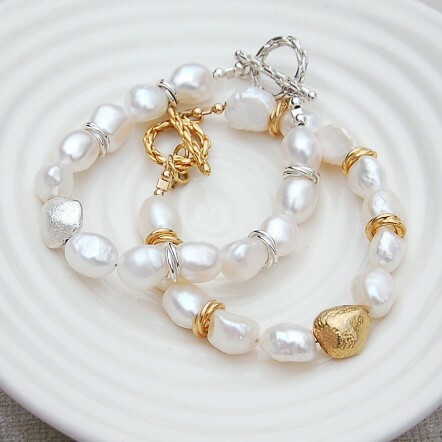 This bracelet will be handmade especially for you in the UK and will be beautifully wrapped in tissue paper and presented in an IndiivJewels gift bag. 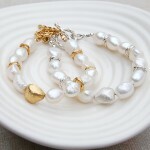 Sterling Silver or Gold Vermeil and Freshwater Pearls.